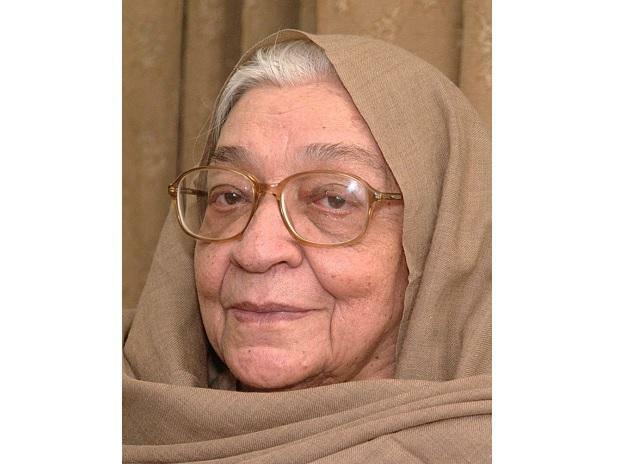 Sobti had won the Sahitya Akademi award in 1980 for her novel "Zindaginama"
Iconic Hindi writer Krishna Sobti, a recipient of multiple awards for her outstanding literary career, died here on Friday. She was 93. Born on February 18, 1925, Sobti had won the Sahitya Akademi award in 1980 for her novel "Zindaginama". She was also conferred with the Jnanpith in 2017 for her contribution to Indian literature. "Krishna Sobti was the most generous of writers, warm, so sharply intelligent. Her books and conversations made me feel that writing could open up endless horizons. I'm glad I had a chance to meet her over the years, and say thank you to her for what she meant to me," said writer Nilanjana Roy. Ashok Maheshwari, the Managing Director of Rajkamal Prakashan, which has published almost all of her works, told IANS that her first novel "Channa" had almost been published by a reputed publisher from Allahabad but as the publisher changed some key words from the text, Sobti stopped the printing process midway and paid them the amount they had spent till then. "She was a person of high spirits, a writer of highest values and sanctity. Every word she wrote was like a coin for her, and now the same is a treasure for us all," he said. Author-poet Ashok Vajpeyi described her as the "trustee of Indian democracy", hailing her unmatched contribution to literature. He said her social message was very clear, and it was evident in all her works. She fought for equality and justice, he said. She was also the recipient of the first Katha Chudamani Award, in 1999, for Lifetime Literary Achievement, apart from winning the Shiromani Award in 1981, Hindi Academy Award in 1982, Shalaka Award of the Hindi Academy Delhi and in 2008, her novel Samay Sargam was selected for Vyas Samman, instituted by the K. K. Birla Foundation. "Most wonderful woman in the world, beloved Krishna-ji, rest in power. I was so fortunate to have met you," said Hindi scholar and translator Daisy Rockwell. Sobti will be also be remembered for going out of the traditional methods of writing, experimenting with new writing styles as well as giving voice to bold and daring characters in her myriad tales. "Krishna Sobti: A fine and bold chronicler of our times, a progressive and modern voice, who exemplified courage and freedom in her work and life. Condolences," said CPI-M leader Sitaram Yechury. Blending elements of Hindi, Urdu and Punjabi cultures in her writings, she explored a vast range of issues, including the partition, relationships between man and woman, and the slow deterioration of human values. She also worked on a series of profiles and columns but published them under a masculine pseudonym. These columns were later compiled in her non-fiction book "Ham Hashmat". A good number of her books have also been translated into other Indian languages, besides into Swedish, French, Russian and English.